Drum Pro, Virtual Drum/Percussion from StudioLinkedVST. 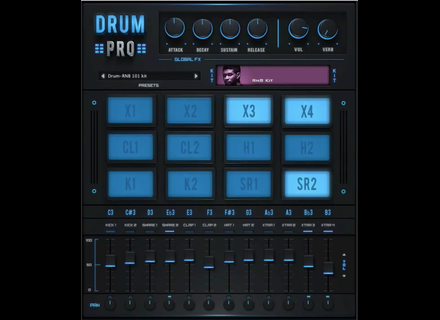 StudioLinkedVST offers a great virtual drum machine to create electronic and urban beats on Mac and Windows. Drum Pro ships with 20 drum kits and 9 vintage drum machine sounds (including the famous TR-808 and TR-909). Each element is mapped to a virtual pad, which is controllable externally with your MIDI keyboard or drum pad) and features its own volume and pan controls. You can also adjust the attack, decay, sustain, release and volume globally and a reverb is included. Drum Pro is free, you can also complete the sound collection with paid expansion packs that cover many music styles, but with this “basic” version I’m sure you’ll have a great time. 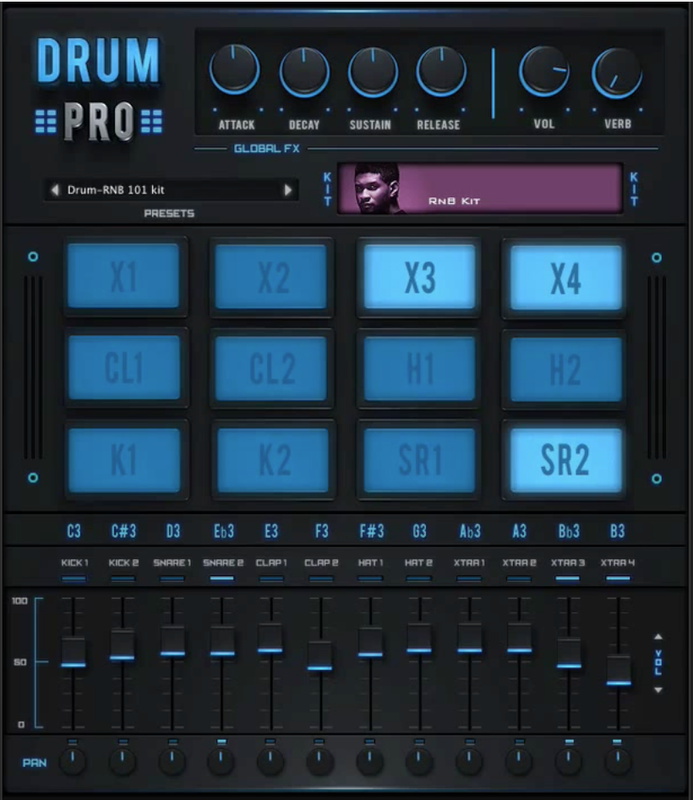 Drum Pro is a VST and AU 32 and 64-bit plug-in for Mac OS X and Windows. It is available for free download from www.studiolinked.com. Before I let you have a look at the presentation video, I wish you a great weekend. fisound releases PiAnnette electric piano library fisound releases PiAnnette, sample library for the sforzando player featuring the sound of a Horner Pianet T electric piano. The SoundPrism Electro app on the iPhone Audanika has released the Mini version of its SoundPrism Electro chord-based music creation app for iPhone and iPod Touch.